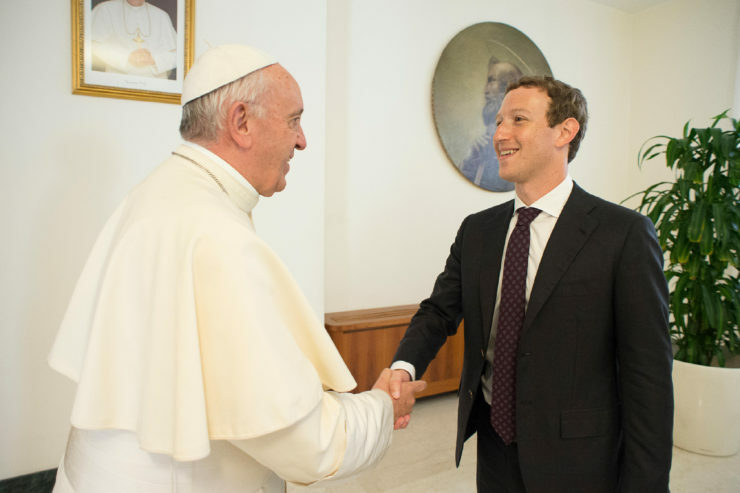 Pope Francis has received the founder and CEO of Facebook, Mark Zuckerberg, in the Vatican. Director of the Holy See Press Office, Greg Burke, confirmed this 20-minute encounter in a statement released this morning, noting the young entrepreneur was accompanied by his wife, Priscilla Chan, for the meeting which took place in the Pope’s residence of Casa Santa Marta. Facebook is a social network that began by allowing Harvard undergraduates to share messages and photos. Since 2007, it has expanded into four languages, and now has more than 1.71 billion users and translations in 70 languages.